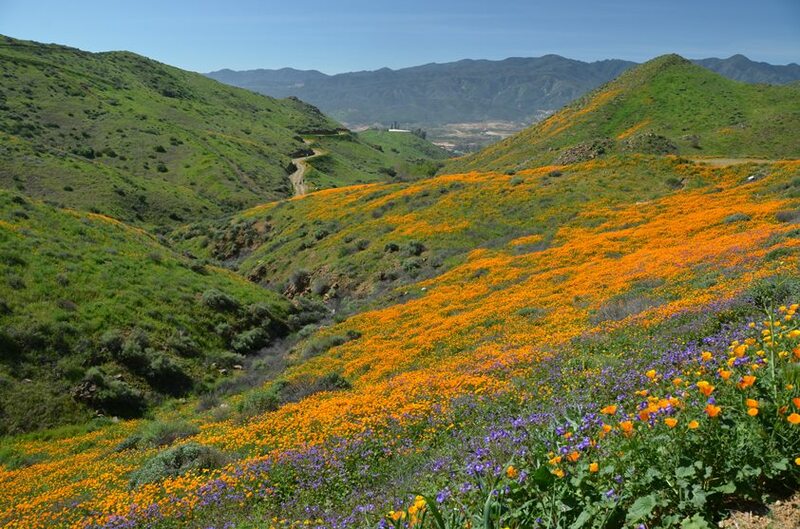 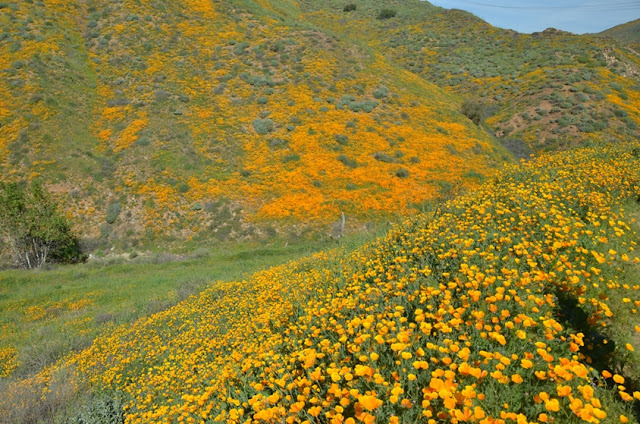 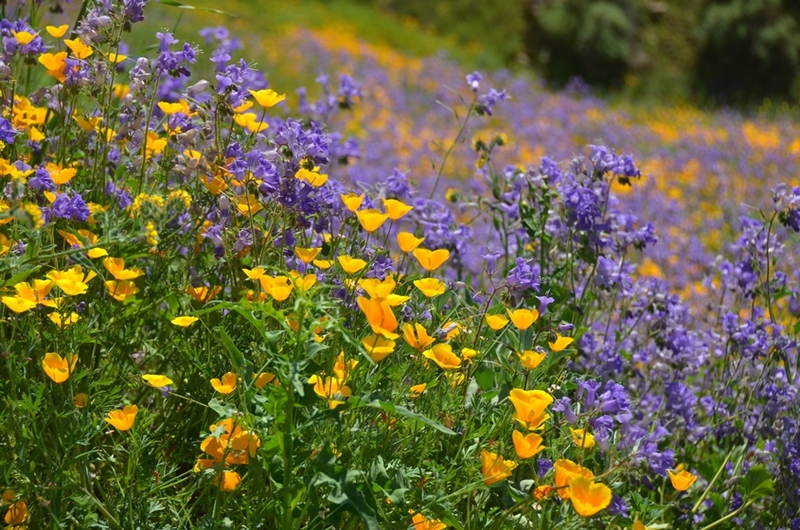 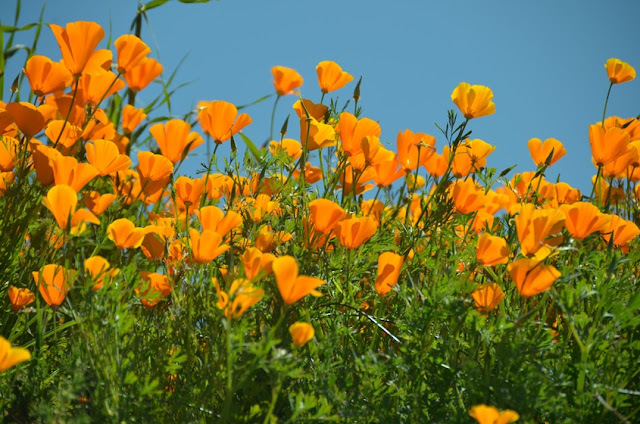 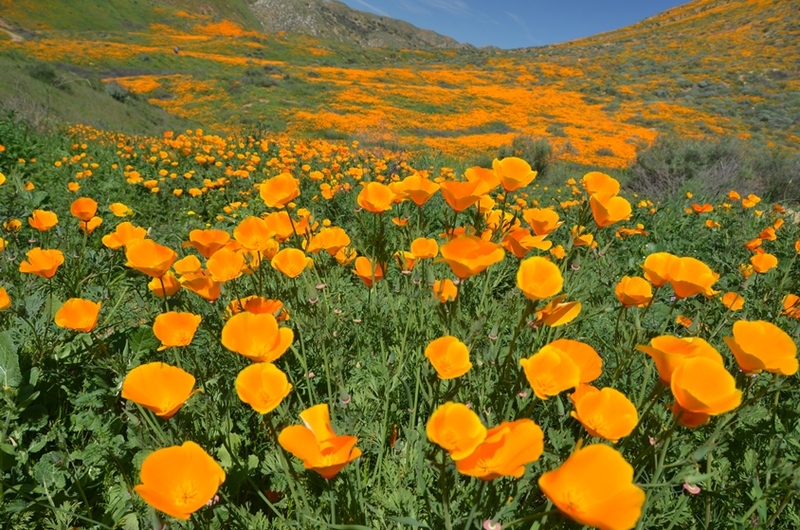 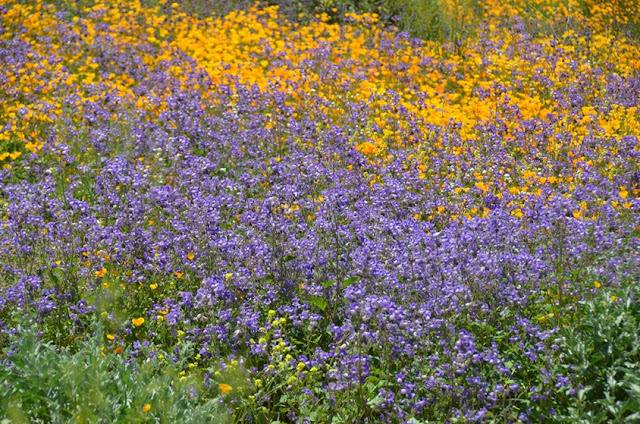 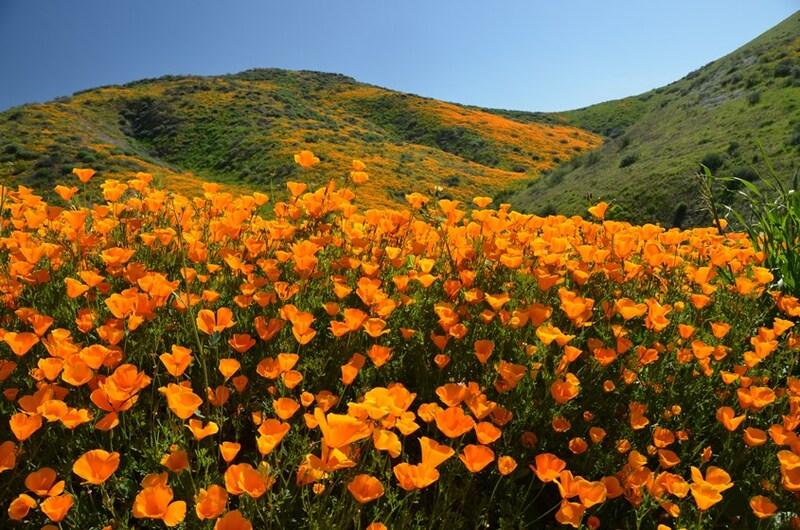 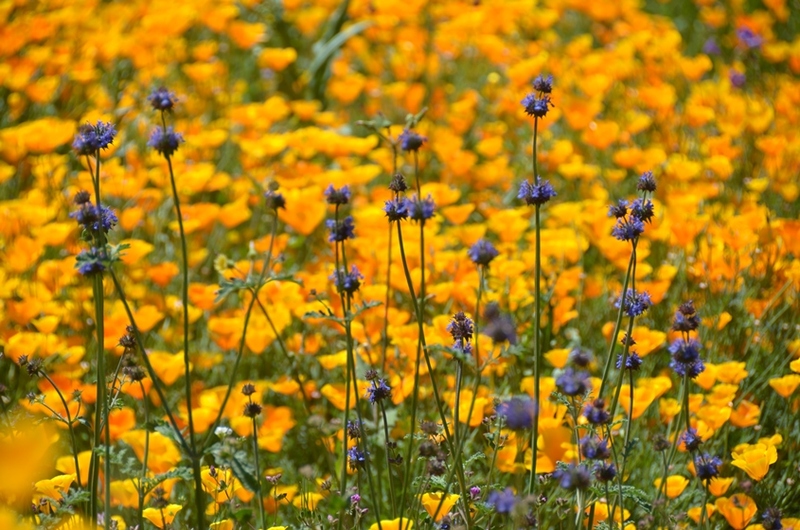 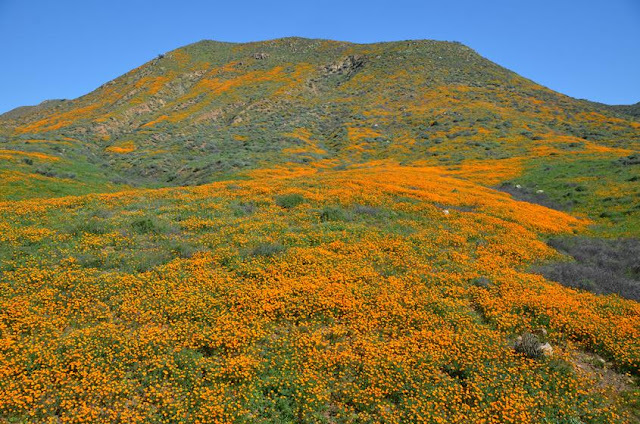 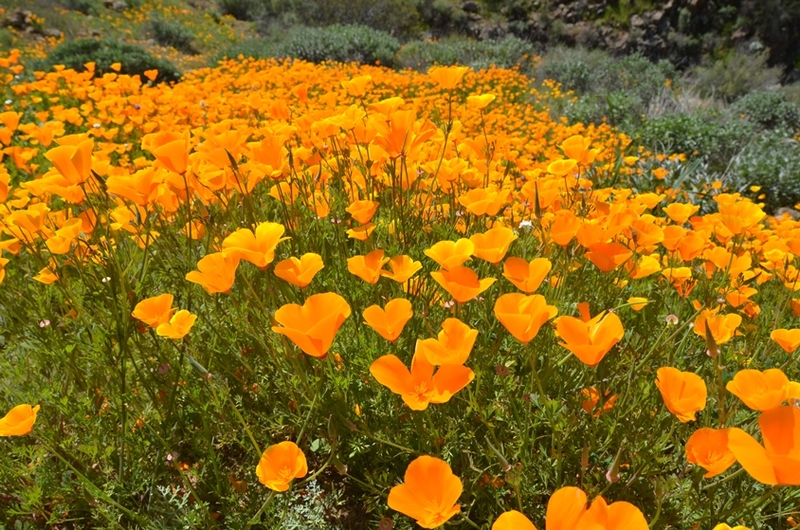 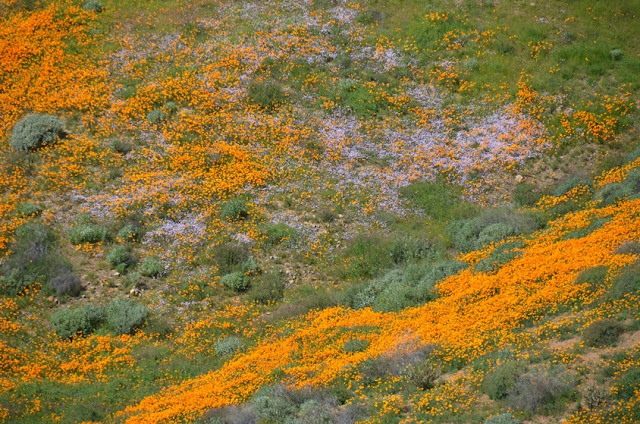 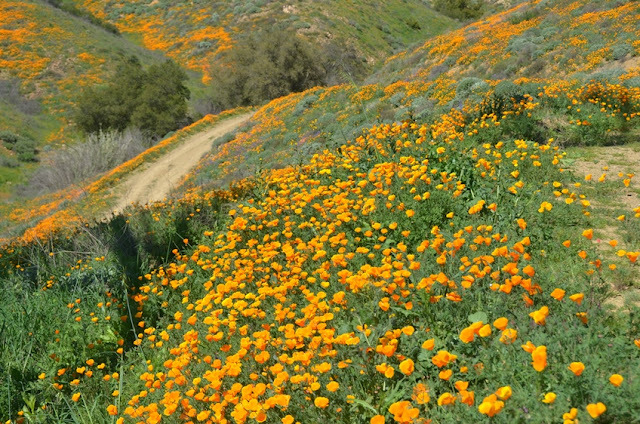 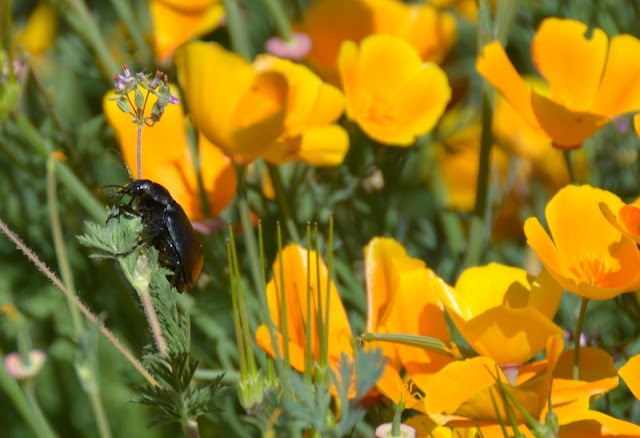 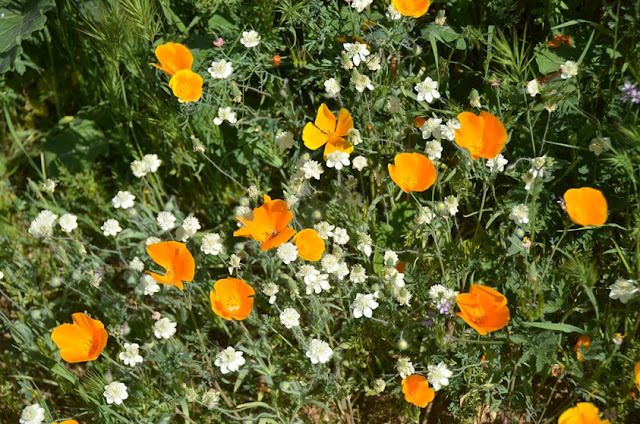 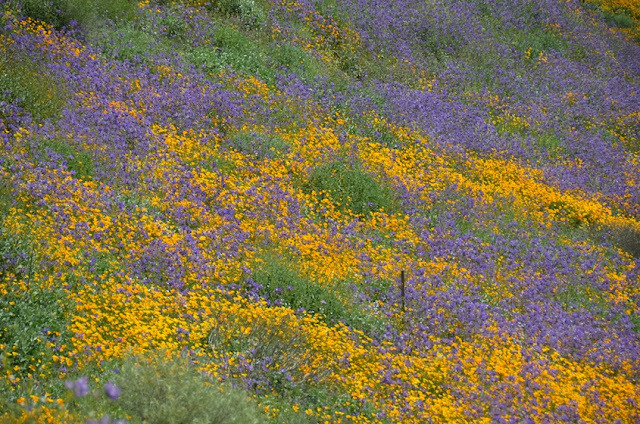 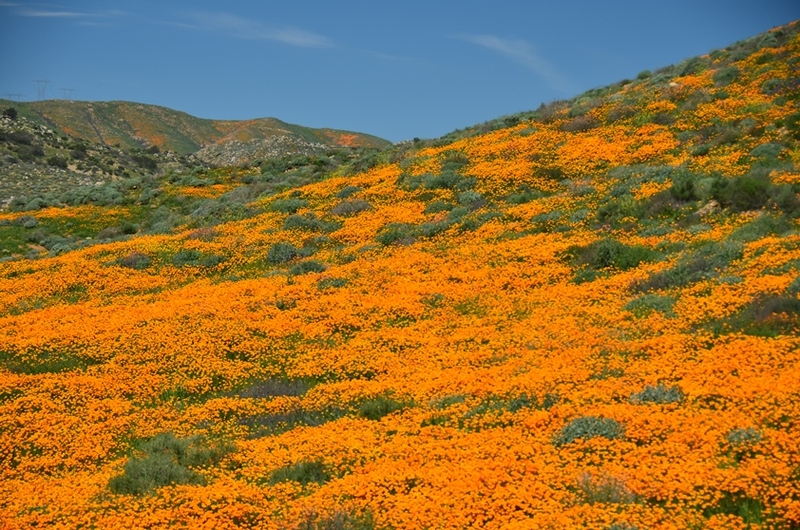 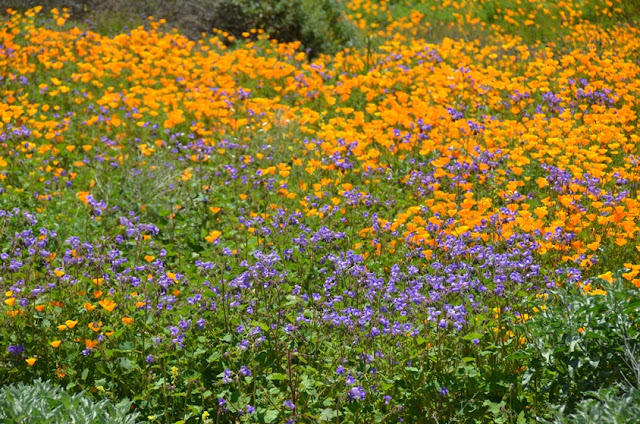 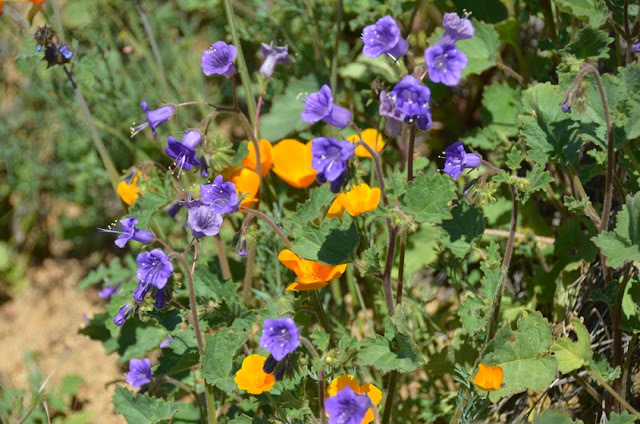 The recent heavy rains brought up a bumper crop of brilliant orange poppies and other wildflowers to grace the local canyons. 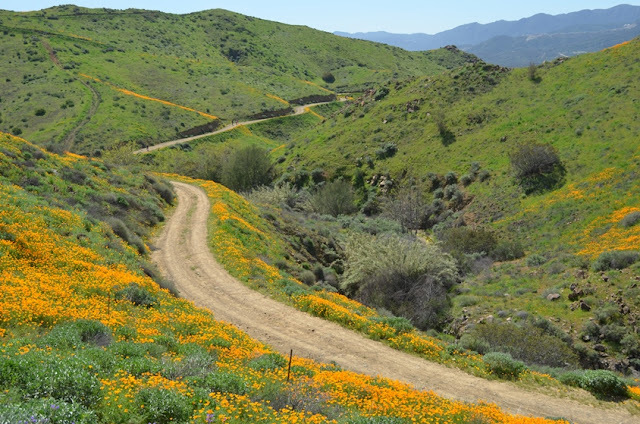 Come follow along as I take you on an easy hike down an old power line road and up into the green hills of Southern California. 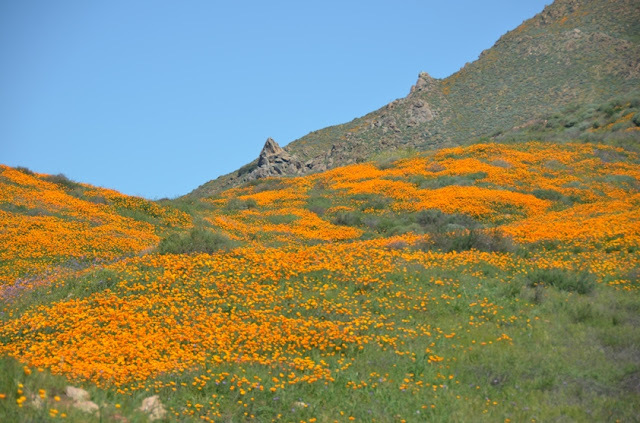 It is time to head back but let me share one last photo of a real beauty who sometimes comes out on my adventures. 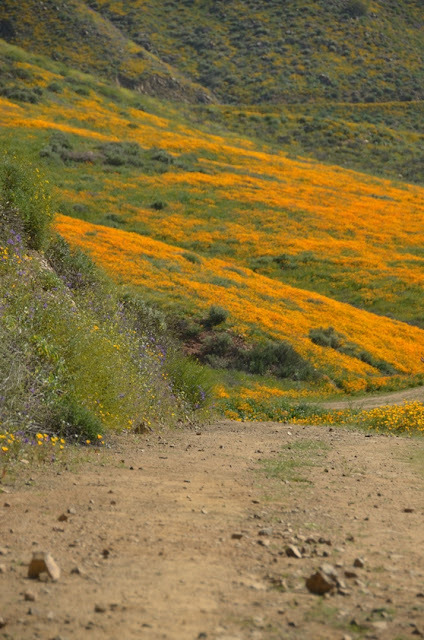 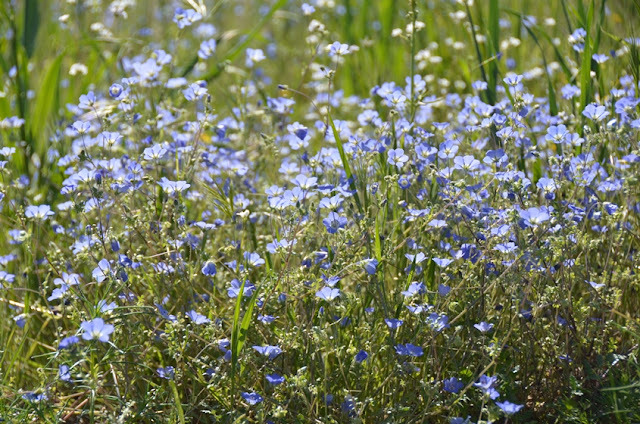 She really liked the wildflowers too! 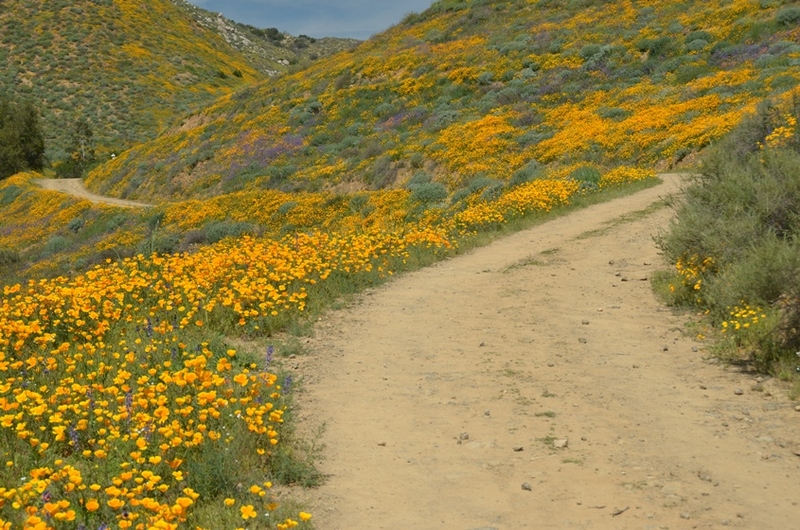 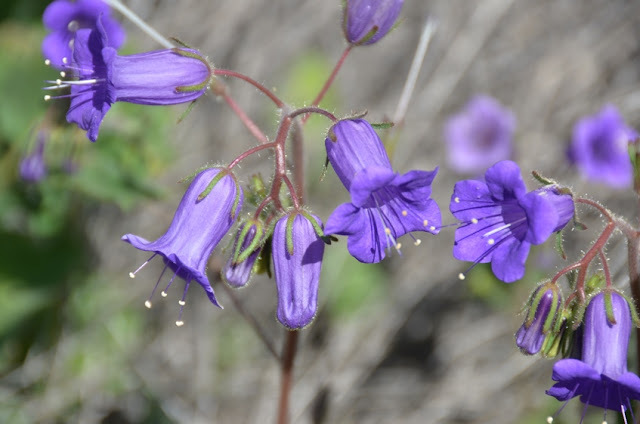 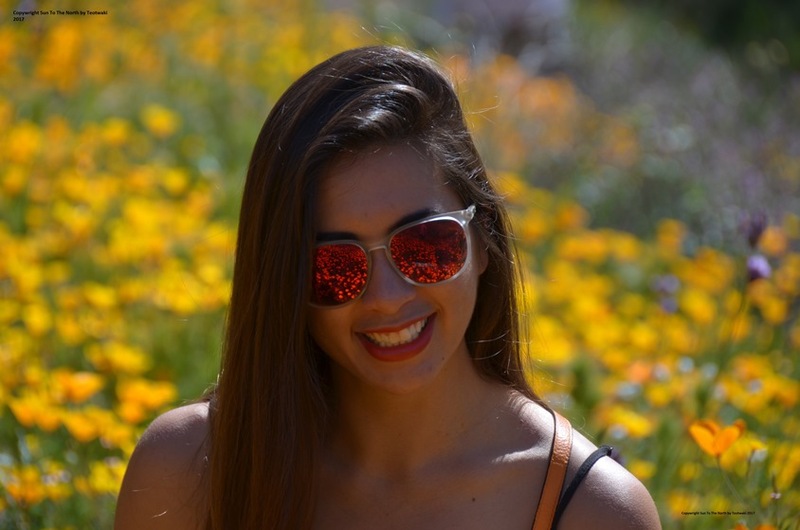 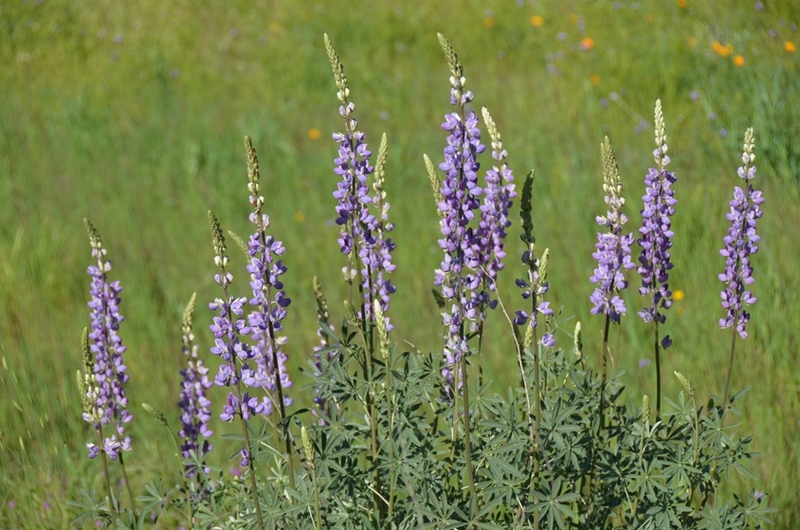 Thanks for hiking along and please share my blog with your friends!